Lexus has finally admitted holes in its lineup. 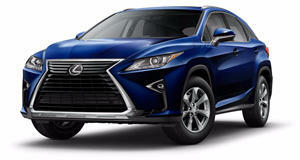 Lexus is set to have a very good year with new model introductions that improve its lineup dramatically. The new flagship LS 500 is a true competitor for the Mercedes S-Class and BMW 7 Series, and the stunning LC 500 Coupe will offer a Japanese alternative to the S-Class Coupe and BMW 6 Series. However, we think that there are still plenty of holes within the Lexus lineup. For instance, we loved our week with the RX 450h, but wish there was a version with a third row that was less expensive than the massive GX 460. It seems like Lexus execs agree. In an interview with Automotive News, Lexus said it sees potential lineup expansions with a subcompact crossover, three-row crossover, an all-electric vehicle, as well as more F-Badged performance models. 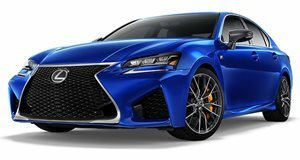 We would be most excited to see some more F models join the RC-F and GS-F, but the crossover segments are the real money makers for Lexus. Lexus General Manager Jeff Bracken said that the brand is forgoing around 70,000 vehicle deliveries per year by not selling a subcompact or three-row crossover. Last year, Lexus sold 10,000 fewer vehicles than first place Mercedes-Benz, which has a much more diverse vehicle portfolio. We know that Lexus is working on a new SUV that was previewed by the UX Concept. It is still unconfirmed whether the next Lexus SUV would be a subcompact or a three-row model, although we think that the three-row model should be the priority. The GX and LX are giant body-on-frame vehicles which are great for off-road enthusiasts, but are rather expensive for most people and so difficult to recommend to families in need of a three-row SUV. 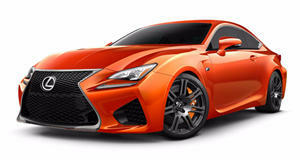 We would also love to see Lexus expand the F Performance lineup. The RC-F and GS-F were a nice start, but even these cars were never up to the same standard as cars from BMW's M Division and Mercedes-AMG. The new LS 500 packs a twin-turbo V6 with over 400 hp, which is almost as much as the 5.0-liter V8 in the F models. We think that the turbocharged engine has more potential than the old V8, although it may sacrifice a bit in the sound department. Whatever Lexus decides to do, it sounds like the executives have finally noticed these glaring model gaps and plan to do something about them.